Should residents have end-of-life conversations with patients or should they be left to the attending physician? Recently on NEJM Resident 360, we had a discussion about this topic and concluded that residents can have an important role in end-of-life conversations. Here are some highlights from that forum and some useful resources for trainees wanting to improve their communication skills in such situations. Many experts have proposed frameworks for communication strategies that residents can use as road maps for end-of-life discussions. However, the best way to gain competency in conducting these conversations is to seek feedback and guidance from clinicians skilled in leading effective goals-of-care discussions. Because of palliative care specialists’ unique training in leading these discussions, we can serve as mentors for trainees and others seeking to improve their communication skills. In practice, most end-of-life discussions are conducted by non-palliative care specialists. Therefore, basic palliative care skills need to be learned and practiced by all physicians. Advance Care Planning (ACP) is an ongoing process of communication between patients, their families, and their health care providers for the purpose of identifying a surrogate and clarifying treatment preferences should the patient become seriously ill or acutely injured and unable to participate in medical decision making. ACP can be started with patients at any stage in their illness, and should be addressed in healthy patients as well to determine preferences for life-sustaining therapies. Advance Directives are legal documents such as a Health Care Proxy (HCP) or a Living Will. An HCP identifies a surrogate decision maker and can specify preferences regarding life-sustaining treatments. A Living Will specifically addresses patient preferences and can state treatments patients would or would not consent to if they do not have capacity. However, living wills are often vague and require interpretation by the surrogate decision maker and medical team. Some states also recognize Medical Orders for Life Sustaining Treatment (MOLST) or Physicians Orders for Life Sustaining Treatment (POLST). Both forms are portable medical and legal orders that reflect the patient’s preferences for life-sustaining therapies (e.g., CPR, mechanical ventilation, artificial hydration and nutrition, antibiotics) and are intended to be reviewed on an ongoing basis to reflect any change in the patient’s preferences. Both forms are recognized in health care settings and can be used for patients who reside at home. Goals of care conversations (or goal-setting conversations) are typically conducted in patients who are seriously ill, critically ill, or whose prognosis is guarded or uncertain. In these conversations, we help the patient and family understand the relevant medical information (if they desire to have this information), clarify the risks and benefits of treatment options and approaches to care, and make recommendations. Residents can have an important role in end-of-life discussions and should always feel empowered to explore and clarify the values and health care goals of patients with serious or life-threatening illnesses, even if you are apprehensive about making recommendations for medical care. Do not feel that you are overstepping your role by conducting exploratory conversations about a patient’s care at the end of life. You can gain crucial information about a patient’s understanding and concerns about her illness and prognosis, how she wants to receive and share health-care information, and what she is willing to endure to live longer. Such information will help the entire healthcare team understand the patient’s unique health care goals, and ultimately inform recommendations for medical care consistent with those goals. Ideally, we should have these conversations before a crisis or significant change in a patient’s health care status, but often that is not the reality. We acknowledge that these conversations are difficult and that residents often are not trained in the necessary skills. Nevertheless, you may be expected to have such discussions during your training. With sufficient education, mentoring, and feedback from senior staff, residents can obtain the skills and confidence to begin end-of-life conversations and ultimately become more comfortable making recommendations. For example, early in training, you may feel comfortable discussing a patient’s desire to spend quality time with family, not be a burden to loved ones, and avoid being on a machine to keep him alive. Later, you may feel prepared to make a recommendation (e.g., limit ICU transfer and plan for transition to a hospice care plan). Attending physicians should always be involved in the final decisions to change a care plan or trajectory of care. The discussion about code status is the most common end-of-life conversation residents have with patients or their surrogates. Dr. Meier cautions that this discussion should not be mistaken for the completion of a task on a to-do list (“get the DNR”). A discussion about code status requires first inquiring about the patient’s prior conversations with other health care providers and learning about the patient’s understanding of her medical situation and likely outcomes of possible interventions. Determining a patient’s code status is an opportunity to actualize the patient’s values and protect them from undesired treatments or consequences. In The U.S., the default is full code status (i.e., offering advanced cardiac life-support including cardiopulmonary resuscitation and endotracheal intubation), unless the patient has a DNR order to "opt out." But we must ask ourselves: Would CPR and life-sustaining measures be consistent with the patient’s values if he were to have a cardiac arrest or, in the case of a patient with an advanced illness, if he were to die during the admission? Knowing how vulnerable sick patients are, we cannot simply ask them about code status. We must be sensitive to their illness experience, recognize their fears, relieve their distress, and assure them that they will not be abandoned. We must approach code status as secondary to the patient’s overall goals of care so we can make a recommendation that is consistent with best medical practice and the patient's unique health care goals. If we do not believe CPR will further the patient’s goals, then we should recommend against it. Dr. Timothy Quill, Director of Palliative Care at the University of Rochester, recommends the “ask-tell-ask” communication technique — ask for permission to share information and how much the patient wants to know, tell your information clearly and concisely, and then ask what they think of it or check for understanding. The more you can know in advance about what has and has not been discussed in the past, the better positioned you will be to engage in these conversations. 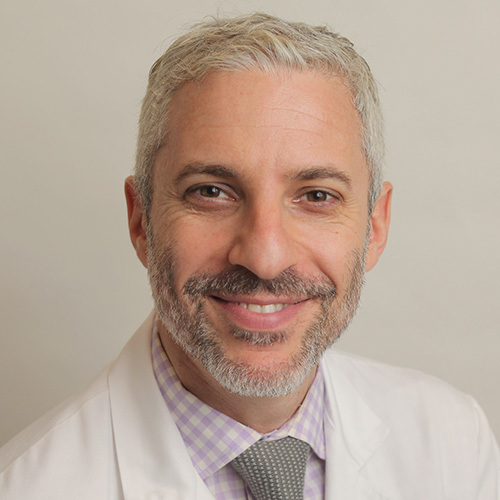 One of the reasons ‘ask-tell-ask’ is so helpful is that by asking what the patient has been told about his disease and prognosis before telling what you know, the more you will be able to understand the impact of the news you are sharing,” Dr. Quill stated. We must seek to understand who our patient is as a person before making any recommendations about end-of-life decisions. “Having a discussion about CPR without first having gone through the appreciative inquiry process is the opposite of person-centered care,” Dr. Meier added. Goal setting conversations should be conducted early in the patient’s disease course and ideally by their primary care provider or other long-term provider. However, some patients do not have consistent follow-up and some physicians do not engage in advanced care planning or goals of care conversations. "What doctor have you been seeing the most?" "Would it be okay if I shared some information about your medical condition or do you prefer I speak with someone else in your family?" 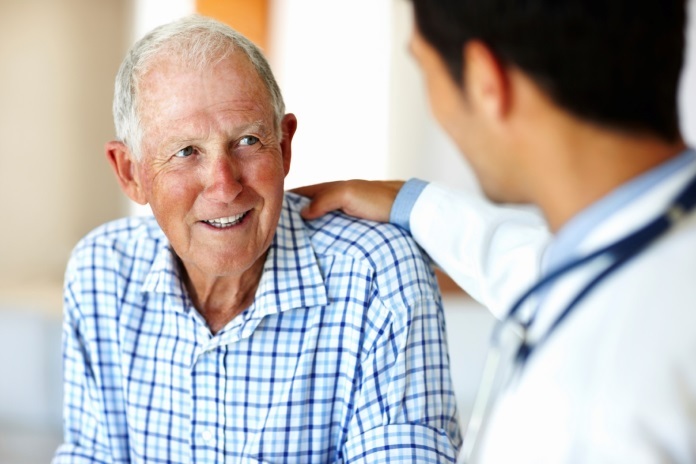 By learning about a patient’s information preferences you are respecting patient autonomy. Not all patients want to know information about their illness or make decisions about their health care. Open-ended questions can provide a lot of information about the effect the illness is having on the patient and family, how the condition is changing over time, and what information they were able to retain and understand from other clinicians they've encountered during the course of their illness. "It is less about what you tell than what you ask,” Dr. Meier reminded us. Be clear, allow for questions, confirm understanding. Use silence. When communicating with patients and families use plain English (about a 5th grade level) and avoid medical jargon. If you have serious news, ask permission to share the information and say it in a short sentence. Then pause. Make sure you acknowledge any strong emotions or affect that may arise. Once you’ve given the patient an opportunity to process the information, ask if they have any questions. Allowing for silence is critical. Patients and families need time to process. Silence not only affords them this space, but also lets emotions arise that may be hidden beneath the surface or obscured by our words. “Silence is more than golden. Patients and families will fill silence with key details about what has been going on, may reminisce about what once was and what has been hard for them, and share with you what they are worried about, what they are hoping for. Giving patients/families this space allows them to know you are not rushed and that you care about what they have to say,” wrote Dr. Jennifer Shin, an oncologist and palliative care specialist at Massachusetts General Hospital. Discussing prognosis is not just about time. "Help me understand what kind of information would be most helpful to you. Some patients want information about how much time we expect; others are concerned about how this disease will affect functioning over time. What are you most concerned about?" "Help me understand what you would do with this information if I were to give you an estimate of how much time you have?" Patients who share that they want enough time to take care of unfinished business, complete life projects, travel, see family, etc. are using prognostic information to help achieve specific goals. In this situation, sharing prognostic information can be very valuable. Others may hope to hear a favorable prognostic estimate that is in line with what they have heard from others. In this situation, I might ask what they are hoping to gain from the information. “Sometimes people ask because it's the thing they think they are expected to do, but more often it's because they really want to know. They may want some idea of how long they have left to do the things they want to do. And families need to know how long they have with their loved one, and sometimes for how long the other parts of their life will be on hold." In all cases, discussions about prognosis are an essential component for end-of-life care planning and decision making. “In the ideal world, there is one main treating physician overseeing the entire plan of care who has a strong relationship with the patient and family. More often, in today's fragmented world, there is sometimes no one in charge,” stated Dr. Timothy Quill. Many times end-of-life conversations are left to hospitalists and residents during acute hospitalizations. “The ideal, of course, is to have these conversations in the outpatient setting. The problem is that many aren't having the conversations, and even for those who do, preferences often change in the face of critical illness,” added Dr. Lisa Rosenbaum, National Correspondent for the New England Journal of Medicine, and Cardiologist at Brigham and Women’s Hospital in Massachusetts. One way to improve end-of-life care is to standardize the approach to advance care planning. Although many models and approaches have been developed and implemented, no consensus exists on the best approach for patients with serious illnesses. A general guideline for outpatient advance care planning conversations in patients with an advanced or chronic illness can be found here. 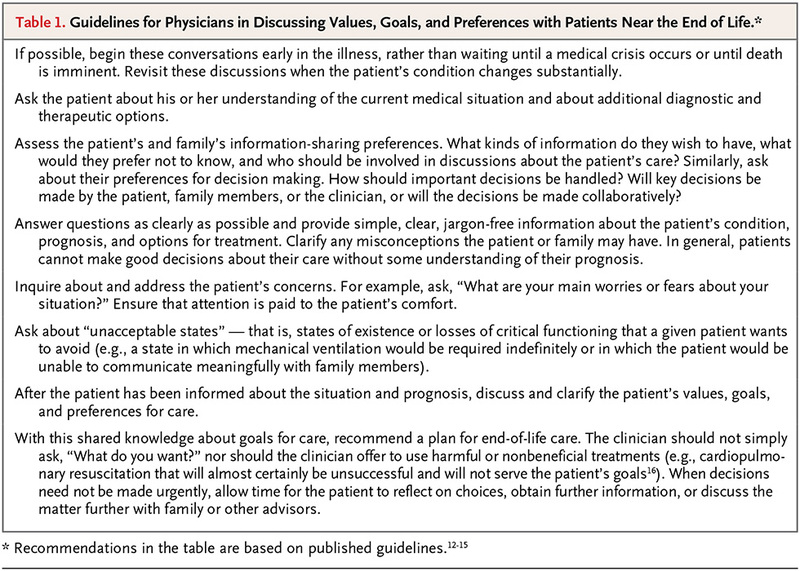 The following table summarizes recommendations based on published guidelines for discussing values, goals, and preferences with patients near the end of life. Running a family meeting is a complex task, requiring significant communication skills, refinement, and mindfulness to be effective. The complexity of decision making, family dynamics, inadequate communication among teams, and mixed medical and surgical perspectives contribute to the challenge of running a family meeting successfully. Given the challenges, a “pre-meeting” is an essential component and should not be overlooked, despite the logistics of arranging multiple providers together before meeting with a family. It is important to appreciate the extent to which the patient’s family is suffering and extend our medical and public health gaze at the impact critical illness has on families and their health and well-being. Family members of critically ill patients experience psychological trauma watching their loved ones in the ICU and often suffer from PTSD and depression when loved ones die in the ICU. We can only behold the family’s unique distress and approach them with sensitivity and compassion. We should avoid the tendency to view family members as merely decision makers for critically ill patients without capacity, but as unique suffering individuals who are likely overwhelmed by the technology involved in critical care, the helplessness of watching their loved one, and the moral responsibility of assisting with complex medical decisions. Residents and fellows tend to speak a lot during family meetings, making sure that all the relevant medical information is communicated. Both the literature and our clinical experience supports using silence more and speaking less. Let the patients and families share their concerns, fears, and questions about the process of making decisions at the end of life. We are not asking the family what would they want, but rather trying to understand the unique values and goals of the patient, and, together, trying to understand what would the patient want if he or she was able to communicate with us. Only then can we make a recommendation and guide the family accordingly. What is the reason for the meeting? What are the conference goals and what do you hope to accomplish? Ensure the availability of a private, comfortable room that allows everyone to sit in a circle. Ensure the relevant participants are in attendance (legal surrogate decision maker, family members, social support, key health care professionals, chaplaincy, spiritual leaders, etc.). Set “ground rules” (e.g., each person will have a chance to ask questions and express views, no interruptions, identify legal decision maker, describe importance of supportive decision making). Spend time understanding the patient as a person (e.g., hobbies, personal values, accomplishments, what is important to the patient in his/her life). What is your understanding of the current medical condition? Assess preferences for information sharing and decision making. Briefly review current medical status. Do you think he is suffering in any way? What do you believe he would choose if he could speak for himself? Respond to emotions, use empathic statements. Reframe goals and make recommendation. Craig Blinderman, MD, MA, FAAHPM is Director, Adult Palliative Care Service, Department of Medicine at Columbia University Medical Center.